At their Miami concert on November 15, 2011 at American Airlines Arena they performed “Niggas In Paris” five times in a row to close the show. The song was then played six times in a row at the TD Garden in Boston on November 21, 2011. Then it was performed seven times in a row on November 26, 2011 at The Palace of Auburn Hills in Detroit, Michigan. On December 1, 2011 at the United Center in Chicago, IL the duo performed the song eight times in a row. On December 12, 2011 at the Staples Center in Los Angeles, CA, the song was played a total of nine times in a row, a record which would stand until the next night, when the duo performed the song ten times in a row. 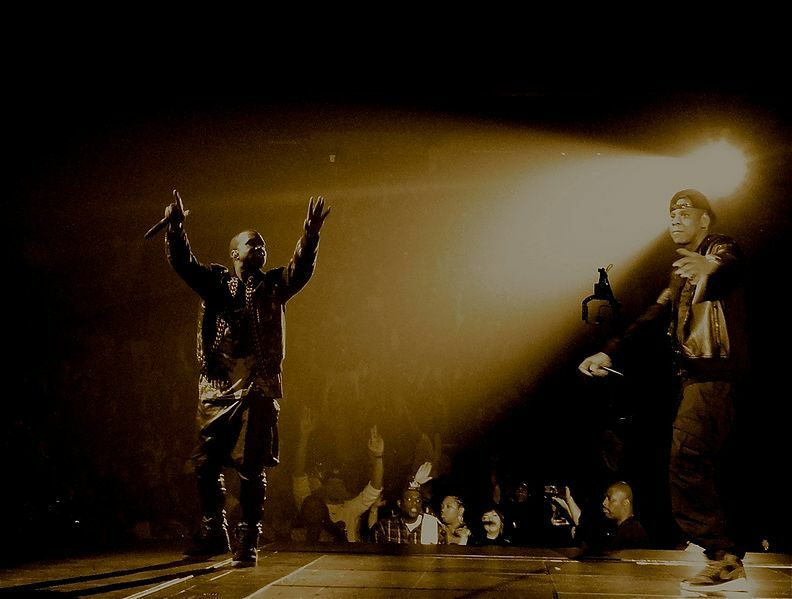 During their final North American tour stop at Rogers Arena in Vancouver, Canada on December 18, 2011, Jay & Yeezy once again performed the song ten times in a row. “The record is held by L.A. with ten times, But this song isn’t called “Niggas in Los Angeles”, We gotta break that record and bring it to 11″. I don’t know why I am ok with this but I actually think it’s kinda cool. I’d love to see The Beatles play “Get Back” eleven times in a row.